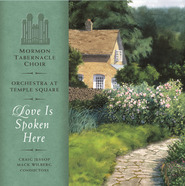 The world-famous Mormon Tabernacle Choir and Orchestra at Temple Square are pleased to announce the release of many of their most requested songs from the wonderful musicians who present at the popular weekly broadcast of Music and the Spoken Word. These songs are a celebration of life and the Savior. With new arrangements from associate directors, Mack Wilberg and Barlow Bradford, this newest work is a must-have for every music library. 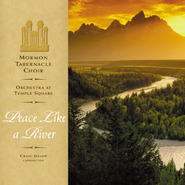 My family's fave MoTab CD. Brings the Spirit. This CD was suggested to us by family friends. It was their favorite, and is now ours. The overall feeling of the CD is so uplifting and also worshipful. The orchestrations set a beautiful mood, then when you listen closer to the words, they teach of Christ. We give this as gifts whenever possible. Appropriate also for those who are not LDS. 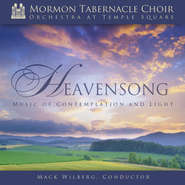 I absolutely love the Mormon Tabernacle Choir-we have so many of their CDs in our home and play them so frequently that our 2 and 4 year old know all the words, which is way cute when the songs are more obscure (especially selections from the Messiah). This CD has some great songs on it, and they have become family favorites! 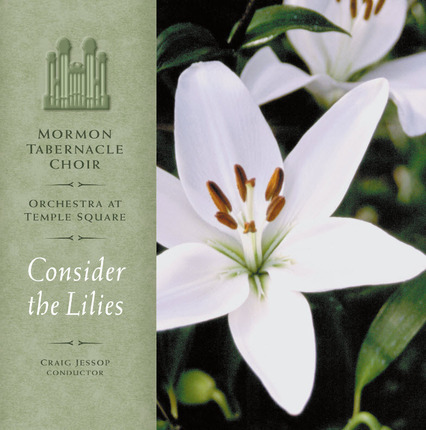 Consider the Lillies is one of my all time favorite songs-that one alone is worth the buy! I was introduced to this CD when my sister's mother-in-law gave it to my mother when my father passed away. "Like a Bridegroom to his Chosen" was just what she needed and I couldn't wait to get it for myself. 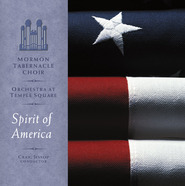 The Tabernacle Choir is a one and only in the range of styles it can beautifully and whole-heartedly present; from solace to patriotism to dedication to the work of the Lord, the Spirit works through them to carry the message. I bought this CD simply for "I Believe in Christ," because the MTB's rendition is the most moving and uplifting song to me, but I instantly fell in love with the whole CD. I wasn't sure how much I'd like it overall, because I tend to favor more contemporary LDS artists, but for inviting the Spirit on a Sunday morning, there is nothing better! 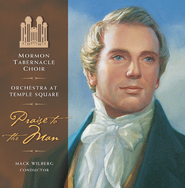 Best MOTAB CD out there! It is just the most wonderful, peaceful, uplifting music I have heard. My sister Irene gave this beautiful CD to me three years ago and I have been listening to it as I go to sleep most nights. It is so soothing and peaceful and uplifts my soul from any and all trials. It turely has been a blessing in my life. I am on now looking for my most beloved song 'Come thou font of every blessing' hope that I find it. Sherene T.
This cd will bring peace to your soul. If you have not already listened to this superb recording, do so! I love all of the choir's albums, but this one is by far one of the best. There is not one selection that does not inspire or cause one to think. All the voices blend perfectly each time, with emotion and depth. If you have a bad day, busy day, or just need to be still, this cd will heal those times and bring peace to your soul.. guaranteed. 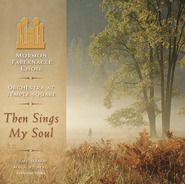 This has become my absolute favorite Tabernacle Choir CD. I recieved it a few days ago and I can't stop listening to it. Every phrase touches me. My favorites are My Shepherd Will Supply My Need, Jesu, the Very Thought Is Sweet, Pilgrims Hymn and Consider the Lilies but all are wonderful. I've pretty much decided that anything arranged by Mack Wilberg can be counted on to be stunningly beautiful. The Choir has never sounded better! This is an excellent work, and without reservation I highly recommend it for others (both members and non-members alike). In fact, this could serve as a superb missionary tool, akin to the 'Finding Faith in Christ' video. , The seventh title on this CD ('My Shepherd Will Supply My Need') is profoundly beautiful, and like all other pieces on this CD, immediately invites the Spirit. As the choir harmonizes during the piece, I found myself weeping. Without question, it is one of the most reflective numbers I've heard. , Overall, 'Consider the Lilies' is an absolute classic, and is wonderfully produced and orchestrated. Great choice of songs, great arrangements in a wide variety. Simply their best. If I were on a deserted island and could only bring one CD with me, this would be the one I would bring. This world needs more happy music to lighten our burdens. It is truly a work of beauty and majesty!